The music director of Vivegam Anirudh Ravichander was presented an award by Sony India on achieving this feat. The music of Ajith Kumar’s Vivegam is being composed by young talent Anirudh Ravichander. 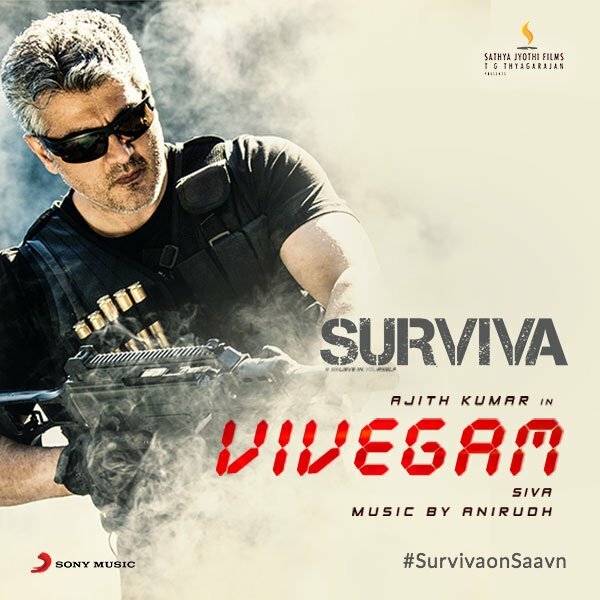 The makers released a 30-second teaser for the first single – SURVIVA – from Vivegam which created quite a buzz. 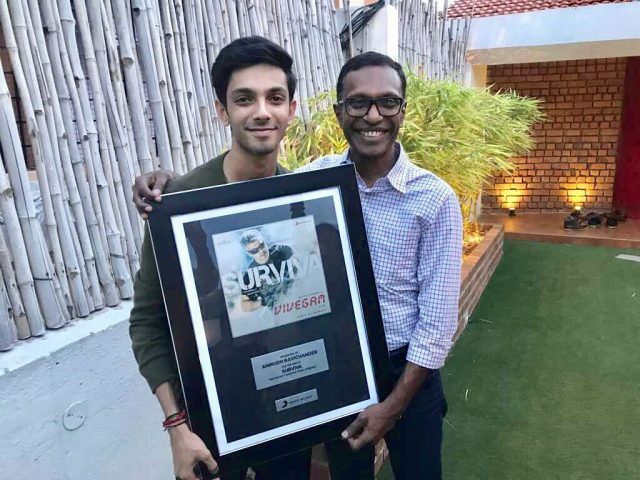 Couple of days later, the makers then released the full track of the first single – SURVIVA – which became a sensational hit in no time. The song was being crooned by many across Tamil movie lovers and received an emphatic response on social media. SURVIVA has now achieved a rare feat in the world of digital platform. SURVIVA achieved the fastest 1 million streams which is a first for any film in India. On achieving this, Shridhar Subramaniam of Sony Music presented an award to the music director Anirudh Ravichander in Chennai today. Anirudh looked quite excited about this feat since it becomes the first song to do so. Sung by rapper Yogi B, SURVIVA from Vivegam is a fast number and became an instant hit soon after the release. Vivegam is being directed by Siva and features Bollywood actor Vivek Oberoi in a parallel important role. Besides Ajith Kumar and Vivek Oberoi, the film also features Kajal Aggarwal and Akshara Haasan in the female lead roles. Vivegam is touted to be a spy-thriller and features Ajith in a brand-new avatar. The teaser of Vivegam was released some time ago and became the talk of the town in no time. Interestingly, this will be Ajith’s first release of 2017 and he was last seen in Vedalam.